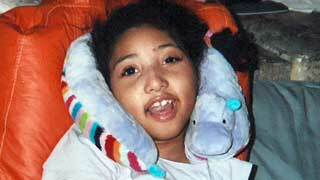 Makayla Norman had cerebral palsy and was unable to walk, talk, or care for herself. Her mother homeschooled her and occasionally hired a nurse to help with her care. Makayla’s condition at the time of her death at age 14 was described by the homicide detective as “horrific.” Makayla’s hair and eyebrows were infested with lice and her body was covered from head to toe in open bedsores. Her skin was caked with dirt and her hips were coated with feces. Makayla died of starvation, and her body was so thin it was skeletal. The family lived in Ohio.